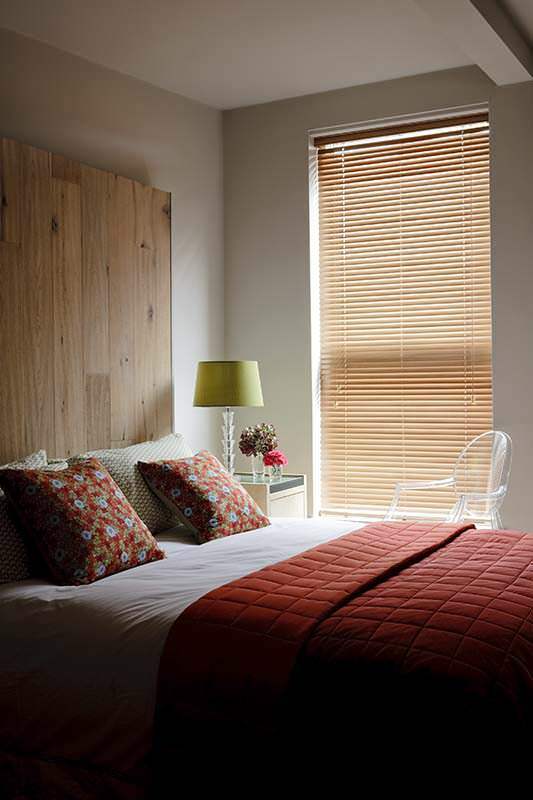 Wooden Venetian blinds are the perfect way for balancing light into your room and of course privacy. They are operated using cords to pull the blinds up and down and to tilt and turn the horizontal slats 180 degrees, giving you the privacy you require. 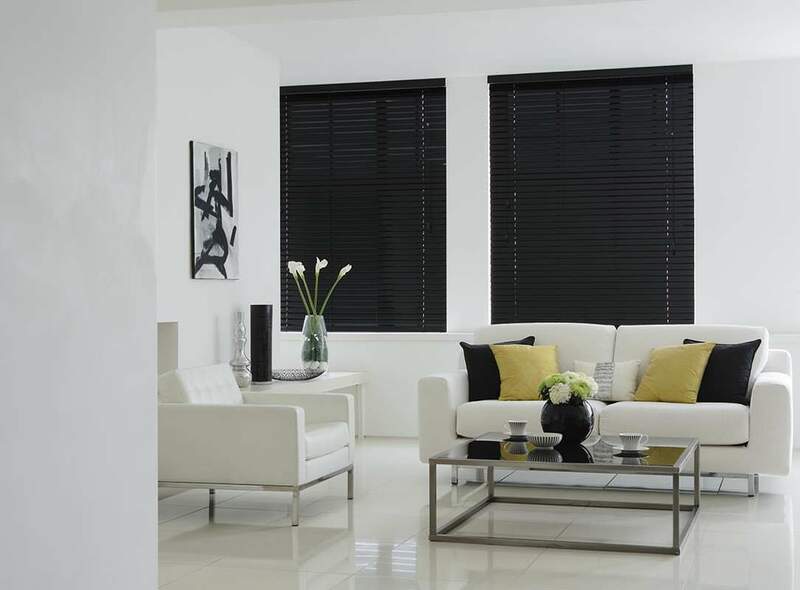 We have a wide range of colours from black to white. 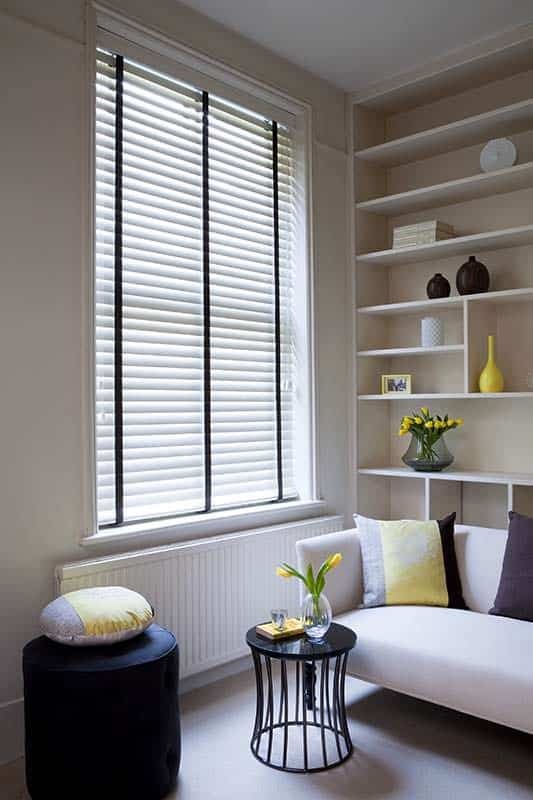 We also have different slat widths including 25 mm for smaller windows with narrow reveals and 50 mm for larger windows and reveals. Our Wooden Venetian blinds come with solid metal headrails and are colour coded to match the colour you choose. 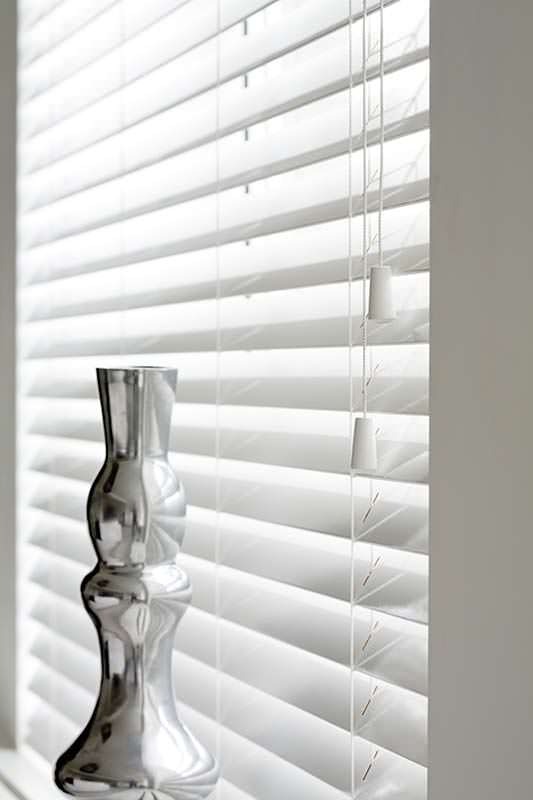 Also we provide a colour coded wooden plinth to cover the headrail, which adds the perfect finish to your Wooden Venetian blind. 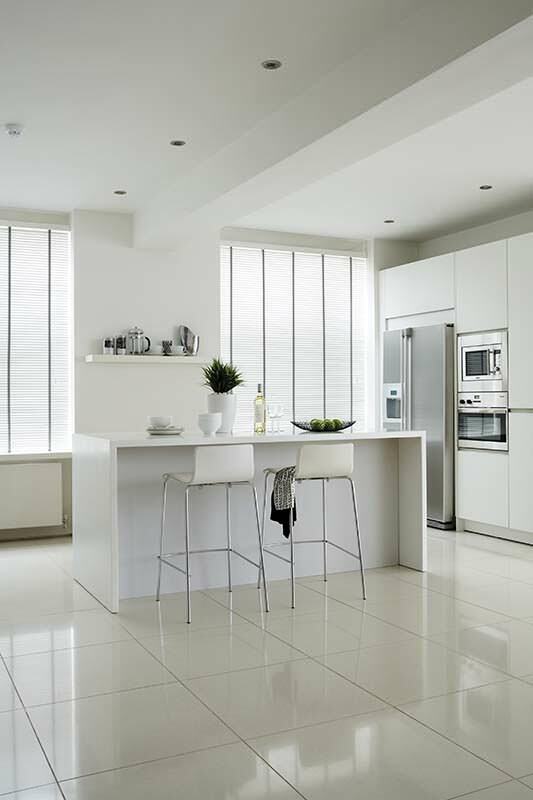 Wooden Venetian blinds can be very stylish and also practical, and can work very well in most windows and conservatories.